Join us February 6th at Burnheart’s! We are headed to Burnheart’s in February! 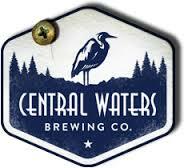 Jordan from Central Waters will be sampling their barrel-aged lineup. We will be in the back room at Burnheart’s. The fun starts with social hour at 6 pm. Hope to see you there! This entry was posted in Uncategorized on January 29, 2014 by barleysangelsmke.